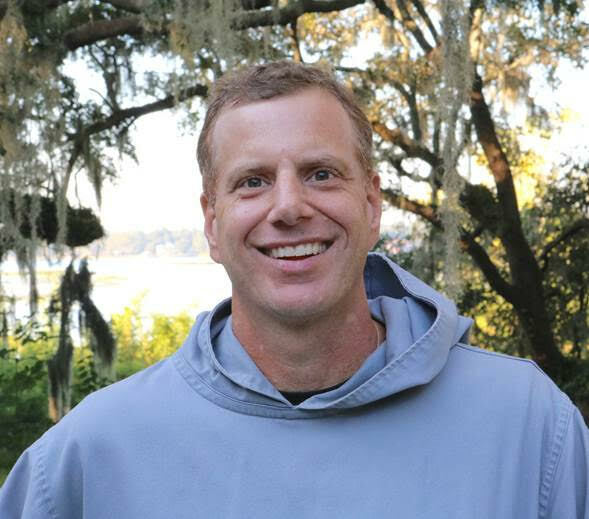 I wanted to take an opportunity to thank you for my month-long experience as a monastic guest this September of 2018. It was a very successful period of growth for me. Before my time began there, for the prior several years, I was going through a very rough period in my life. I was defeated, anxious, low on strength and low on options on about every front. I couldn’t seem to catch a break, at all, and a lot went down that was very unfair in my life. I needed a period of time where I could spend time with Jesus and be in the company of others and also survive (like catching my breath), which is exactly the opportunity you provided to me and so much more. I spent a lot of time reflecting on the Crucifixion and the unimaginable suffering and humiliation that Jesus went through for humanity. It was the only way that I could look beyond my defeated situation. And an amazing thing happened – real hope returned to me along with the associated motivation. It may have just been a glimpse at first, but it was there! Thankfully, I have been very busy since being a monastic guest, because of the breakthrough I had, and I am on the threshold of new opportunities. I am scheduled to begin a professional job on the 19th of November, which will be a giant leap towards returning to a viable life and very necessary. And I do plan to be a very engaged lay-person at my new parish. I very much want to live a humble life full of spiritual meaning and in relationship, going forth. One thing I have learned from all of this is that the Bible is true and as meaningful as ever. Especially, as it relates to suffering. I really have come to believe that suffering is a gift. Before I suffered, I don’t think I fully understood Christianity and I certainly didn’t have the right amount of humility or insight into others. Another thing I learned is the dignity and honor one can have when he dedicates his life to Christ. For your inspiration and example I will be forever thankful!